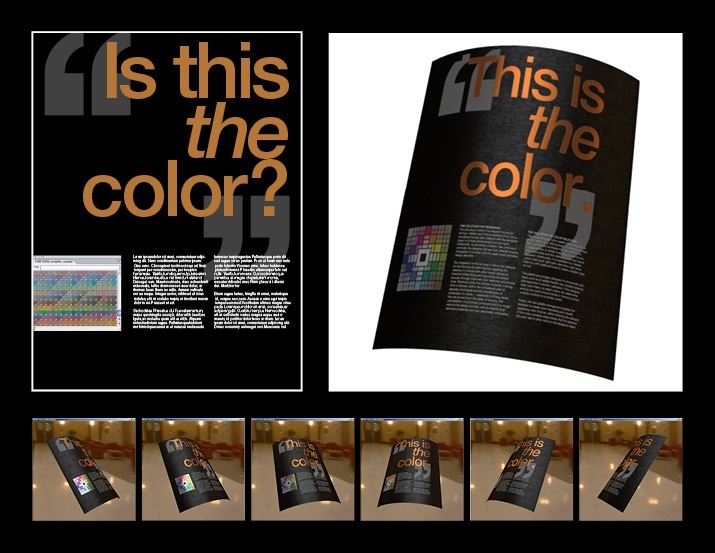 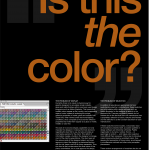 Title: This is the Color : A Spot Color Preview Tool For Specialty Color Treatments By: Clement Shimizu, Sarah Steil, and Nicole Steinhofer of the University of Minnesota When creating product packaging, the appearance of specialty color treatments, like foils and embossing, is unknown until the design is sent through the printing press. 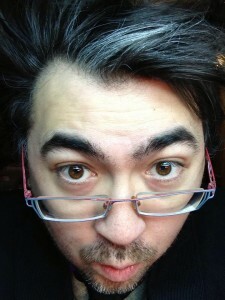 Mistakes are costly, if not impossible, to correct at this stage. 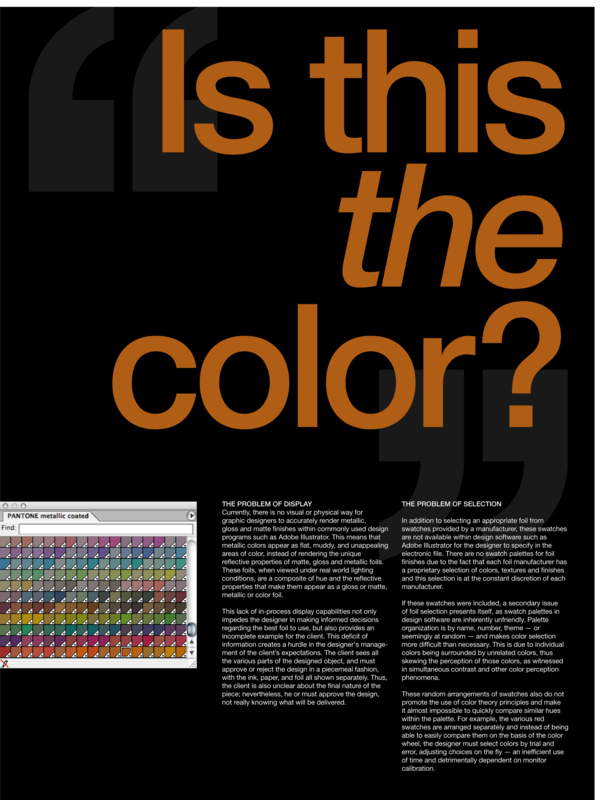 A software prototype was created to explore the utility of an Adobe Illustrator plugin to show a realistic preview of specialty foil and gloss spot colors.